Trash cans serve a variety of purposes, whether for indoor or outdoor use or for pure function or function with a bit of style. There are many options out there for you to choose from when you need a trashcan. One of the most important factors when making a selection is the type of material that the trashcan is made from; this will differ significantly depending on where you intend to use the trashcan. 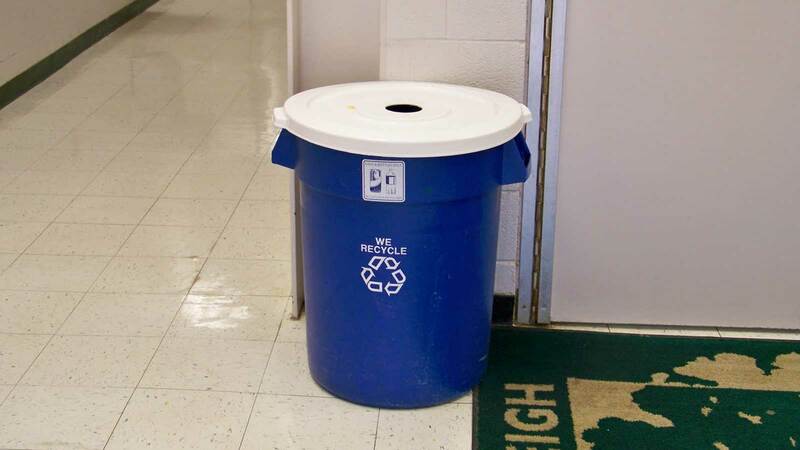 Indoor trash cans are generally made of plastic, metals such as stainless steel, or a combination of both. Plastic trash cans are very popular because they are generally sturdy and usually lightweight. Different types or grades of plastics are used, giving varying degrees of flexibility. Popular types of plastic used are polyethylene and polypropylene – two heavy duty plastics which tend to be flexible and suitable for all kinds of indoor uses. Stainless steel has become hugely popular over the last 10 years coinciding with the rise in popularity of stainless steel kitchen appliances. It’s easy to see why they would be so popular, because the stainless steel finish gives trash cans a sleek and sophisticated look. At the same time, they are able to withstand the wear and tear of household traffic without much damage. They are also usually designed to resist fingerprints and other smudge marks, which were a common complaint when they first arrived on the market. There are several great stainless steel models on the market, and these days they come with a lot more functionality, such as touchless technology. Of the products reviewed elsewhere on this site, you might want to check out the Simple Human Round Step Trashcan to get an idea of how great stainless steel trash cans are looking these days. Outdoor trash cans tend to be very rugged. The material used to make them depend on their purpose outdoors. For example, a trashcan used to store refuse for collection by waste management personnel tends to be very strong as it is expected that it will be roughly handled and more than likely thrown from time to time. Therefore, these units will be made with a hard plastic that has a bit of flexibly to allow it to absorb shock without cracking or crushing. Some units in which garbage from a large group of people are placed, like a dumpster, is usually made of a tough metal. An outdoor trash receptacle however, is usually fixed to the ground and because it’s there to collect primary waste as people pass by, it is usually more stylish than its garbage storage counterpart. These fixed units too are made of plastic, though more refined looking. Concrete is also a popular choice for fixed outdoor units. For your trash cans at home, make sure that when you are selecting one, choose those with easy-to-clean surfaces. Try to avoid surfaces with a lot of ridges that might make dirt and grime difficult to remove. Stick to trashcans with smooth surfaces that wipe easily so that your cans will always be in top shape.